Most writers and authors include in their body of work published articles, commentaries, and papers read at the meetings of learned societies or at private and public gatherings. Papers read are generally published in the 'proceedings' of those societies at which they were presented. Articles published in newspapers and journals rarely appear again in print unless they have extraordinary appeal or appear in anthologies. For articles reprinted, the writer is rarely paid. It is a question of copyright ownership. The continuing debate as to who owns the rights to an article once it is published is a running sore between writers and the print media. This debate has gathered momentum with the dawn of the electronic media and the internet. The Writers Union of Canada regularly discusses electronic rights at its meetings. It also works with the Periodical Writers Association of Canada and similar organisations in a continuing effort to secure a better deal for its members. As a statement in support of TWUC and the PWAC, I exercise my rights of electronic copyright by publishing a selection of my articles, papers and reports on the internet. Together with each article is a summary of its content. The date of publication or address appears at the end of the article. Some articles have appeared in more than one journal. Only the journal in which an article first appear is identified. Whose continental resources did you say? Death in the market, Jeddah, Saudi Arabia An execution in Saudi Arabia. Interview with Ahmad Hussain al-Ghasmi Interview in Sanaa, Yemen. Jack Nissen and WWII Radar Jack Nissen and WWII radar technology. Labrador power development Hydro-power project in Labrador. A Life Lived Constable Sarah Anne Cockerill (1961-2001) RCMP. 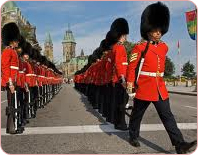 Patriot Games Canadian Style Business contacts gather information. What industry wants...industry gets The influence of business on education.